I bought this for a song compared to its ability. I just wanted an additional outboard amp for a large surround setup. Front is a pair of Cerwin Vega D9s driven by a Carver M500T MKii upgrade. This amp drives a restored pair of Cerwin Vega 417r speakers. I was very surprised that such a low key appearing amp keeps the rear audible with the front despite a much lower output rating. I have never seen the lights indicating cliping even at very elevated sound levels. Not aware of any, but l dont listen to it by itself. None More useful in this time if it had two pair speaker output . Hello, I'm using this amp with some older Magnepan MGIIIa's. It drives them very well and with great authority. The sound is very "tubey" sounding to me. I really like it. It puts me in almost a trance of sorts. It allows me to melt into the music and not hear electronics. I paid only $200 from someone on Craigslist but it did need some capacitors replaced as they were looking like they were about to vent. (Four 220uF at 160V). Did the repairs and am now enjoying it very much. Mostly listen to vinyl. After listening to its little brother for al while, it was time to upgrade to the 216THX. I did read the reviews here en was a little scared to be disapointed. But i have to say, i realy love the amp, its delivers clear, powerful en nice sound. That is if your source and speakers are up to the job. Bought it secondhand and is it is a lot of Hifi for the money. Still like it better then my old Yamaha gear. Its nicely detailed in high and mid en not to harsh. Buy one, you wil love it! I have had this amplifier for 10 years and (recently) now have two used in bridged mode. 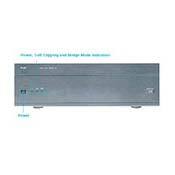 This amplifier is superficially very impresssive and makes a fair stab across the frequency range overall. However, it is uneven in its performance. The bass is superb and produces visceral results with my KEF 105 mk1s. Midrange is good though it is the treble that lets the side down. The NAD's are comphrehensively out-classed by the power section of an Arcam AVR200, treble is much more liquid and detailed; the KEF 105's almost dissapear in the sound stage, with the NAD's you always know where the speakers are. The Arcam is bass shy in comparison with the NADs. If I was forced to choose between the Arcam and the two NAD's it would be the Arcam. However I get the best of both worlds, one NAD 216 for each bass bins (x-over 400 Hz) and the Arcam for the midrange&treble. Overall: top class bass for very little money; sound quality is 5 star for bass/subwoofer duty and 3 star when used for full range duty. I can see why this amplifier polarises opinion as it has superb bass but poor treble. Well I just purchased the NAD 216 THX on eBay to power my mains (Infinity IL60) and I think that given this amps' smooth neutrality combined with my speakers' warm tendencies, the pure clean power of the amp has really let this system shine. For music, this amp has really been what these speakers needed. I consider it a good buy considering I got it for $200. Transparency, huge soundstage, powerful. The real beauty lies just beneath its cover which would reveal an excellent build quality, very impressive! None at this price point. I give it top marks considering price versus performance. I'm afaid all too often midfi budget gear is often evaluated by some people that have no idea about sound quality, no wonder, most audiophiles wouldn't give this a second look because of price. Several years ago I could of easily been one of those people. I came across the NAD 216 THX by mistake and very glad I did! Years back, I owned some of the older NAD amps and always thought they were very average in sound quality, they just didn't do it for me. This amp is a different story! (NAD power amps are getting much better). I put the Adcom 565 preamp on this amp because I thought it would be an excellent match. I was right! The sound produced by the NAD 216 was amazing, offering a powerful quality transparent 3D sound with a very huge soundstage! I AB'd it against my expensive Threshold power amp and although the Threshold slightly edged it in the midrange, I discovered I could easily live with the NAD 216 in my main system if I were an audiophile on a budget! NAD has got a clear winner on their hands here. Strongly recommend! Bryston, Music Fidelity, Threshold, McCormacks, Adcom, Precision Fidelity, PS Audio. Conrad Johnson and etc. powerful! loud! musical.pretty tuff design!! Value for money man, very hard to beat. Very accurate reproduction. Awesome power. Looks tough. Very few, compared to more expensive products a bit thin in the upper mids, but this can be partially attributed to colouration of other amps. When looking for a new amplifier to replace my dated and underpowered NAD 3020i intergrated amp, I listened to every thing available under $2000 ($900 US, this price also had to include a preamp)at the 2 closest HIFI stores to my town. Brands included were Cambridge, Rotel, other NAD prodcts, BOSE(laugh) and the list goes on. I even listened to some used equipment with very good reputations. All comparisons were done with my own system right down to interconnects and speaker cable. Listening to the NAD 216 through my Paradygm monitor series speaker I found it to be easily the best performer across the sound spectrum and with power to burn. Reproduction is very accurate and with no colouration as experienced with some other brands. The Nad also performs very well at all power settings unlike others that require to be cranked to insane levels to really start sounding good. I have also compared this product to my fathers QUAD 405 an extremely highly acclaimed product in its day and still well respected. Suprisingly it stacked up quite nicely, noticably not as full through his much more expensive Proac speakers but actually better through my paradygms. Not much in it at all. All in all I am rapt with my purchase. I have no doubt there may be better a few better products (very few) in the price range depending on your application but to one reviewer who said there were many better, wind your head in pal, that's just ignorance, arrogance or stupidity. The years of experience of those who have written good reviews far outway those of the bad and we're not all idiots. In short I think you cant really go wrong with this product or it's big brother the 218THX. Listened to most low end amps available at time of purchase.